The Kunsthal Rotterdam is an unusual cultural institution, housed in an iconic building with a surprising range of exhibitions and events for a broad public. It is unusual because it does not have a collection of its own and is thus, strictly speaking, not a museum, but it does produce and organise exhibitions as museums do. It takes advantage of its freedom to put a good deal of creativity into creating a broad and exciting programme in a contemporary way aimed at a broad public – like a conjuring box. The iconic building was designed in 1992 by the most famous architect in the Netherlands, Rem Koolhaas, as a Palais des Festivals [link], a meeting place for art and culture. The range offered is surprising, there is always something different to see and to do. The approx. 23 exhibitions a year represent many disciplines at the same time: art, contemporary art and design, photography, lifestyle, fashion, architecture and cultural history. The proven low threshold of the Kunsthal, combined with the great diversity of topics, from high art to popular themes, underscores its social relevance. Every year prestigious exhibitions, undiscovered oeuvres, intimate presentations and unexpected thematic exhibitions are presented in the Kunsthal thanks to collaboration with a broad range of (cultural) institutions, museums, artists and companies. Big names feature beside remarkable discoveries, all of high quality and with room for a contemporary note and a personal story. In this way the Kunsthal offers a platform and shines the spotlights on its partners. A new feature is the planning of a continuous programming for the Kunsthal as a Palais des Festivals. We stake on long-term collaboration with our regular cultural partners with substantive activities that yield more spin-off, while we respond to the present moment and to experiment with incidental partners. The Kunsthal reaches a broad (and often new) public through the diverse and rich supply of exhibitions, simultaneously or in rapid succession, organised by a small and efficient team. It is a programme that caters for specific target groups, with supplementary programming around the main attraction, special events, strong marketing and branding. The mission of the Kunsthal can be described as a public-orientated cultural trendsetter with international allure that takes advantage of its complete freedom to programme in order to introduce a broad and often new public to art, culture and society. The Kunsthal is different from other institutions for various reasons. 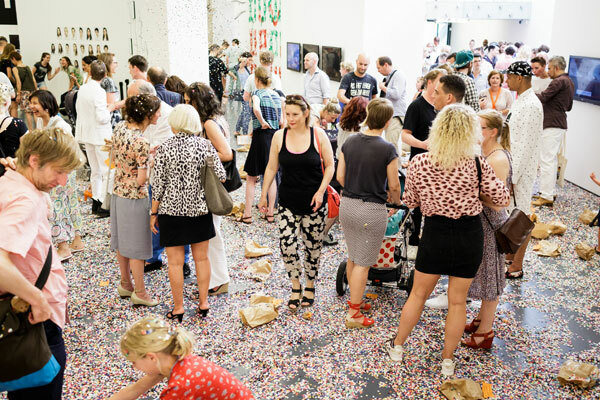 For instance, nowhere else in the Netherlands are distinctive exhibitions programmed continuously on a floor space of 3,400 m2, and nowhere else is the simultaneous range of highly diverse exhibitions, each appealing to a different target group, so large. Nowhere else in the Netherlands will you find an institution that caters for fashionistas, those interested in history and design lovers all at the same time and that enables them to meet one another. The Kunsthal is also different in its media. A recent example is the new Kunsthal website that is different from regular museum websites and also meets the requirements of online experience. The surprising design by Fabrique won the IF Design Award. In order to remain a relevant institute that offers added value to the city, in the region and much further afield, the Kunsthal stakes on spearheads such as its premises as an architectural icon with a function as a cultural Palais des Festivals. 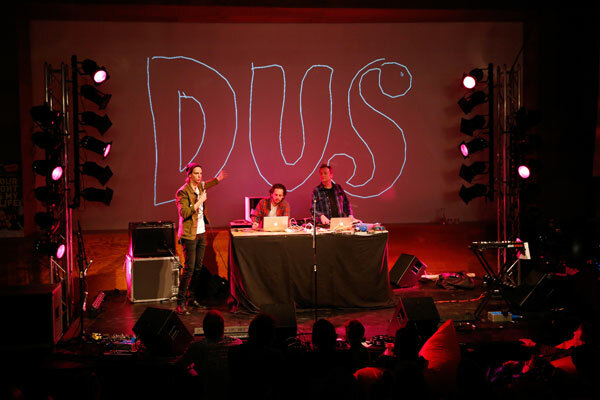 In addition, the Kunsthal stakes on its role as a developer, producer, innovator and cultural entrepreneur. The Kunsthal will use the coming period to invest in the fund-raising and relations department; to develop new forms of funding; to make a strategic choice in relation to new target groups and markets; to develop its own productions, first for the Kunsthal and afterwards to travel, and to develop a merchandise label of its own. These are important additions to the already existing cultural entrepreneurship of the Kunsthal. 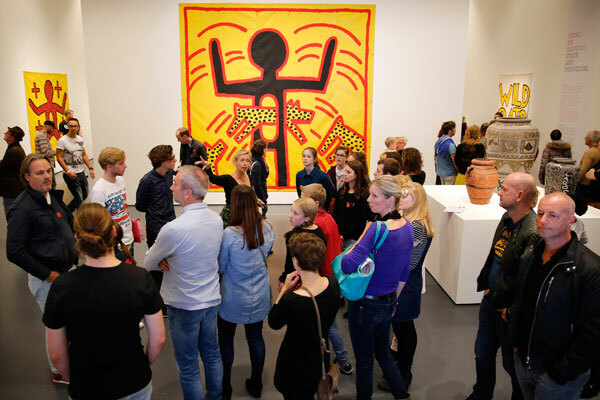 The time is ripe to spread the brand Kunsthal, which is among the top twenty museum brands in the Netherlands, all over the world. After all, the Kunsthal has the right contacts, original ideas and the right nose for business to be able to put a good product on the market. The Kunsthal has already worked on its big exhibitions in close collaboration with prestigious international institutions, such as with the fashion designer Jean Paul Gaultier and the Musée des Beaux Arts in Montreal in 2013, with the Vitra Design Museum in Weil am Rhein and the Barbican Centre London in 2014, and with the Keith Haring Foundation in New York and the Kunsthalle der Hypo-Kulturstiftung in Munich in 2015. As a popular and strong international brand, the Kunsthal will profile itself as a producer of (international) travelling top exhibitions. It is a challenge as it has no collection of its own to draw on. But by intensifying the international contacts and staking on special collections and artists, the Kunsthal tries to collaborate with collectors and guest curators to take this step. These productions will be launched in 2016 with the exhibition of the famous (fashion) photographer Peter Lindbergh, which will go on a world tour, from Europe to Asia and America, after it has been seen in the Kunsthal.